Skillmates » General Chat » Welcome to Skillmates » Thinking of Joining Skillmates? 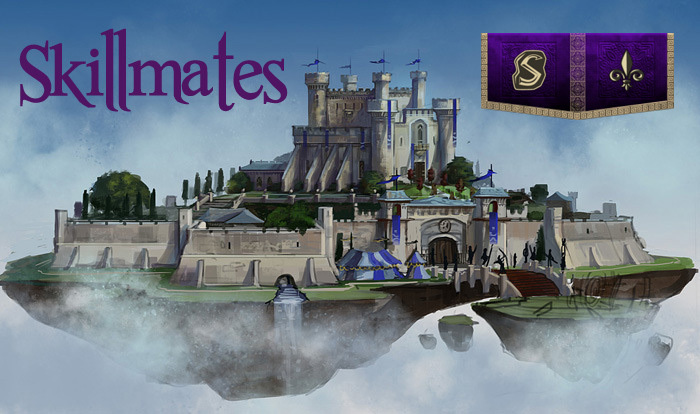 Skillmates is a mature clan dedicated to skilling, friendship, killing a monster or two, and generally having a good time playing RuneScape. Our membership has an average total level of 2000 plus. We are an all adult clan with members anywhere from 19 up into their 70, so our clan covers a broad range of ages. We have attained and maintained a Tier-7 citadel, while working at it each week isn't required. Its hard to pass up the generous amount of XP it offers, especially to low leveled players. Our events are spontaneous at the moment and anyone can host/start one. Although we'd like to have all members attend events and enjoy the company of our clan mates, attendance is not a requirement. Even though we are an adult clan, we do practice polite manners and ask that no one swears or uses profanity in the clan chat. If you think you would like to join our ranks please come into our CC and say hi, its always open for visitors. We would like you to visit our clan chat for at least 7 days to get a feel for our clan and see if it's a good fit for you. Should you decide to join and are currently in another clan, there is a 7 day waiting period required by Jagex once you leave a clan in order to join another. Once you join, you are able to work in our Tier-7 citadel immediately. We utilize this off RS site for our clan forums, where registration for members isn't required. But there are some interesting topics and a great deal of helpful information on there, as all members can post in any area's. Thanks for visiting our forums!